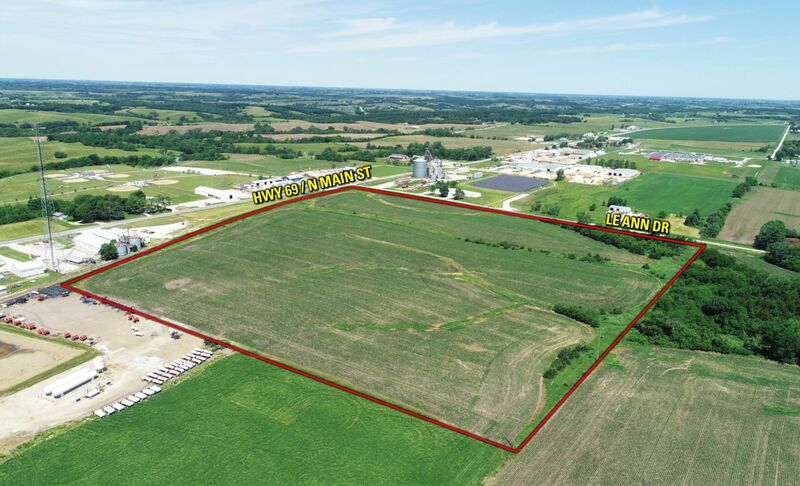 34 acres m/l of prime industrial development land located along Hwy 69 on the north side Osceola, Iowa. Site has exclusive access to Burlington Northern Santa Fe (BNSF) Main Rail Line via BNSF Spur. All utility infrastructure is available to Site. 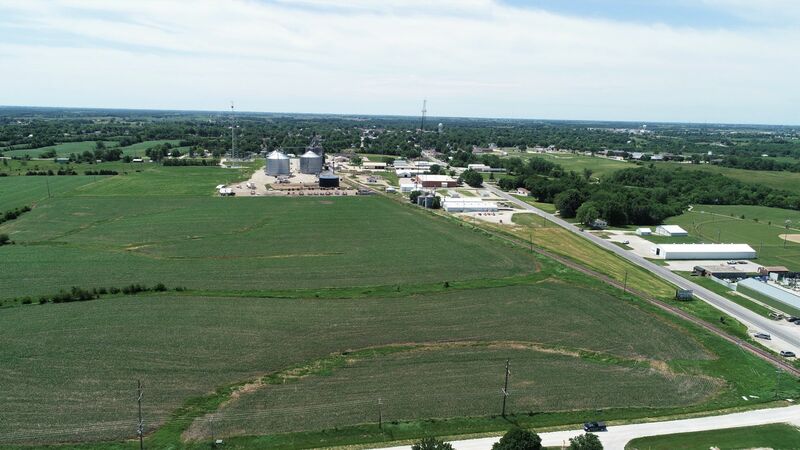 Generous tax incentives and exemptions available through Iowa Economic Development Authority (IEDA) and Clarke County Economic Development Corporation (CCEDC). Osceola is served by the BNSF Railway, which owns the line of railroad tracks in Osceola. BNSF is a national railroad company that is one of seven North American Class I railroads and owns the second largest freight network. 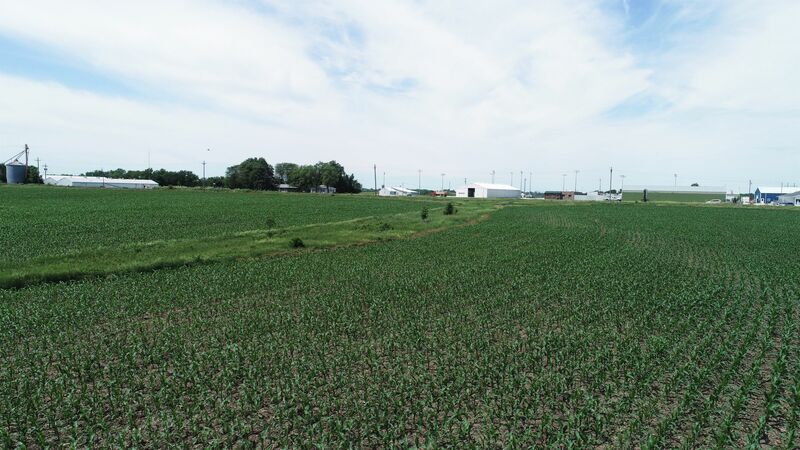 The Site touches a BNSF Spur and is approximately 1 mile from the BNSF Mainline. 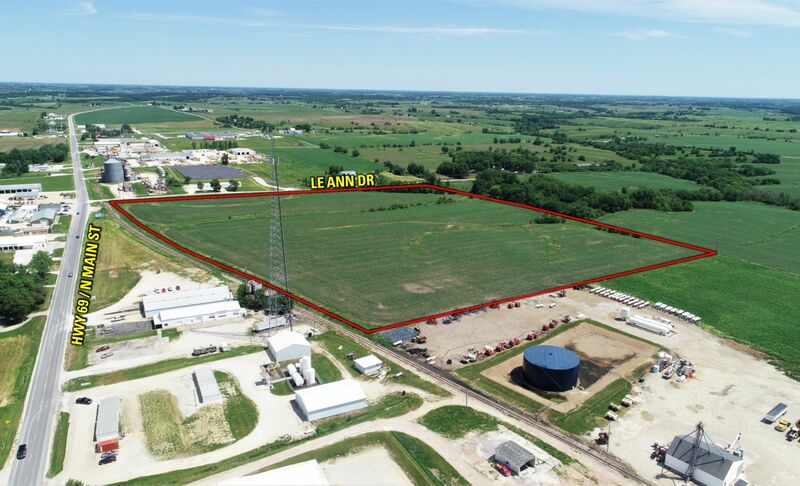 The Site is the only practicable location in Central Iowa where an industrial facility can locate and have access to the mainline. The owners of the Site have received assurances from BNSF that the spur may be utilized under appropriate circumstances. 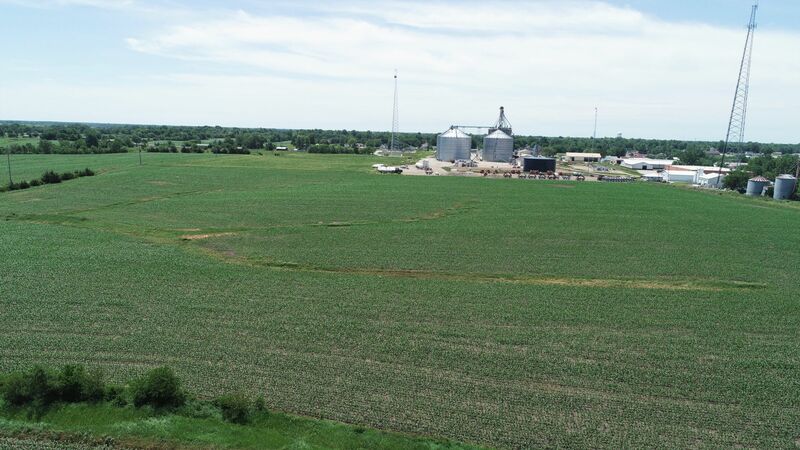 Previously, a $500,000 RISE (Revitalize Iowa’s Sound Economy) grant was approved to upgrade and repair the Spur to allow for industrial usage. Substantial value would be derived by a user connecting easily to the main intercontinental BNSF line due to lower shipping rates and transit times. The Site is bordered on the West by the Burlington Northern Santa Fe (BNSF) Spur which connects the BNSF Mainline. 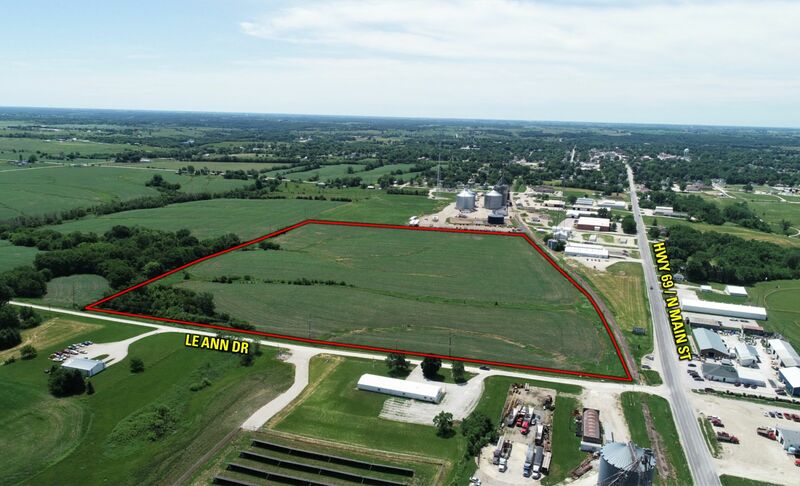 LeAnn Drive borders the Site to the North and provides immediate access to US Highway 69. No rights-of-way, easements, or other impediments block access to, or development of, the Site. Clarke Electric Cooperative power is available through both overhead and underground 3 Phase lines. These lines deliver 7,200 volts to ground, and 12,470 from Phase to Phase. Rate incentives are available. Osceola water quality is good with the water system being owned and maintained by the City. The current water source is West Lake. Total permitted capacity for the system is 550 million gallons per year with average utilization totaling 430 million gallons per year. Excess capacity of at least 250,000 per day is available with additional capacity coming online in 2017 as a result of construction of a new 800-acre water supply reservoir. Osceola water lines run from Town Line Road, north to LeAnn Drive. There are currently two separate lines, one ten-inch line that follows Main Street and a six inch line running through the property located to the south. Osceola Waste Water Treatment provides sewer service and currently has a PVC line that flows south, westward along LeAnn Drive, then continuing south along Main Street. With a permitted capacity of 2.5 mgpd, the average utilization of the system is a mere 0.725 mgpd with a peak of 6.842 mgpd. The excess capacity of the wastewater system is listed at 1.875 mgpd. 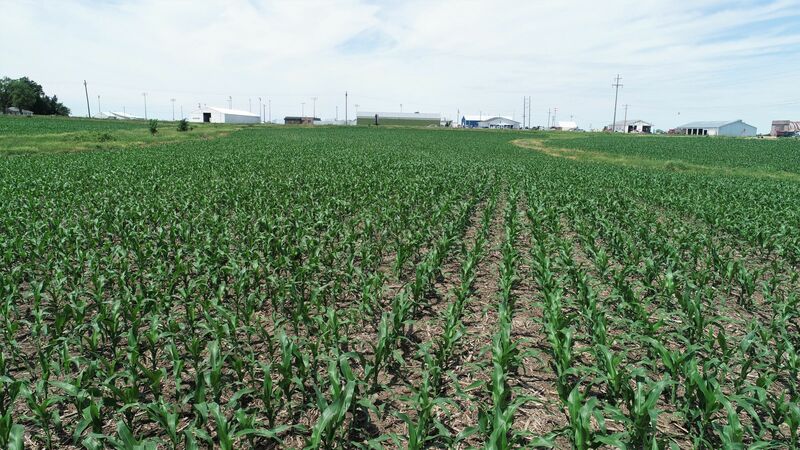 Lots 2 and 3, NE ¼ , SW ¼, Section 8, Township 72N, Range 25W, Clarke County, Iowa and Lot 4, NE ¼ SW ¼, Section 8, Township 72N, Range 25W, Clarke County, Iowa. Exact legal description to be taken from abstract(s). This brief legal description should not be used on legal documents. Exact legal to be taken from abstract. From Osceola, travel north on Main Street (Hwy 69) approximately 1.25 miles. Turn east on Leann Drive. 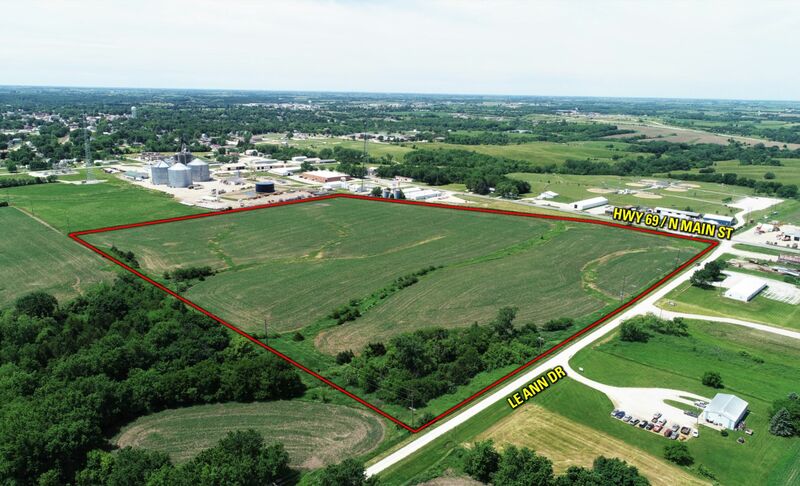 Site is located on south side of Leann Drive.